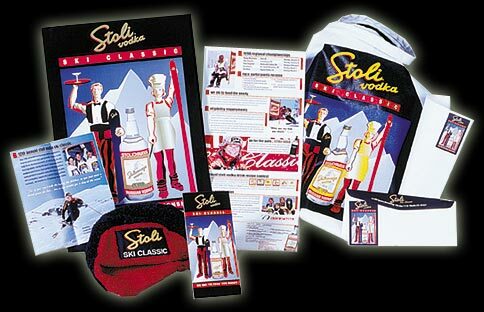 The Stolichnaya Ski Classic is a series of ski races and product tastings for restauranteurs and bartenders around the country. Ajax created national ads, direct marketing material, promotional event signage and giveaway racing bibs styled into chefs aprons. The imagery has left a lasting impression on thousands of participants, creating stronger brand awareness and increased distribution of Stolichnaya products.